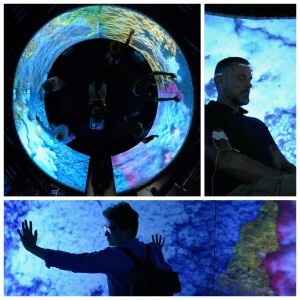 LEIKHĒN is an audiovisual installation, created for and during an artist in residence at the Immersive Lab (IL) at ICST Zurich. It is inspired by the composite plant of lichen (from Greek: leikhēn), which is the result of a hybrid partnership between a fungus and an alga. 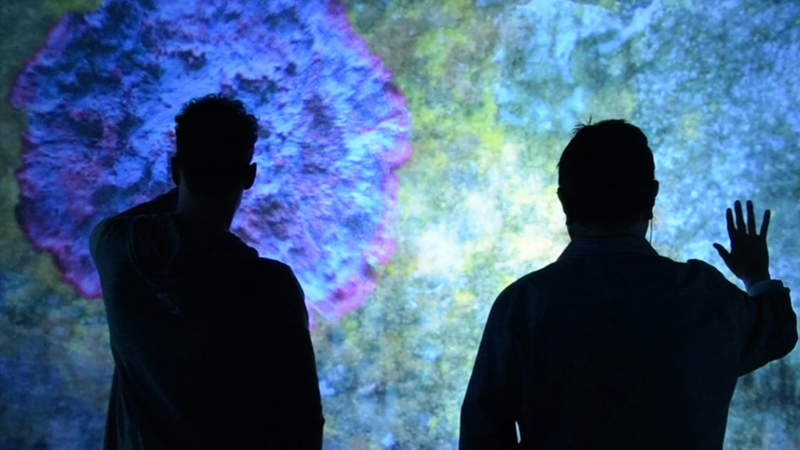 The installation is therefore a reflection upon the interaction and mutualistic relationship between two organisms, and how this union impacts on their behaviours inside a created audiovisual immersive space.